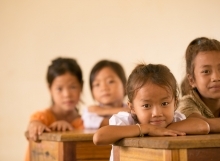 250 million children of primary school age around the world lack basic reading, writing and math skills. Hakkasan Group strongly believes that every child deserves quality education, no matter where they are born or what resources they have. Therefore, as part of our Hakkasan Group Gives Back initiative, we have partnered with Pencils of Promise. This innovative organization provides students around the world with much-needed access to education through school builds and literacy programming. Hakkasan Group has already committed $50,000 which will build a school for a community in need in Ghana. 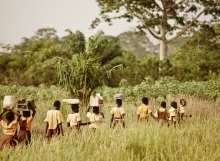 Korve is a community in the Volta region where 173 currently enrolled students are eagerly awaiting the school build we are helping to make possible. Due to our support and financial donations, the community broke ground on the new school in August 2018. We will transform an ordinary classroom experience into one that is unlocking the promise of education for an entire generation of students in Korve. Along with PoP, we have created a customized impact website that shares the community’s story, as well as photos of the entire build process so we can document firsthand the impact we have been able to achieve in this much-needed community. We will continue to keep this site updated on the progress throughout the next few months up until the ribbon cutting ceremony when we open the school in December 2018. We welcome you to contribute by donating HERE. To learn more about Pencils of Promise, please watch the video HERE. With an education, nothing is impossible. Pencils of Promise is an international 501(c)(3) non-profit that partners with communities in need to build schools and provide educational support. PoP offers 100% direct giving and sources 100% local leadership in their schools. 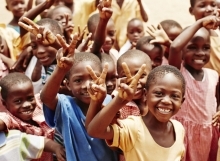 Since 2009, PoP has built 429 schools in Ghana, Guatemala, Nicaragua, and Laos. To learn more about Pencils of Promise, you can visit their website.